The ISCO 780 Module interfaces between a 6700 Series Sampler and analog data from other equipment. 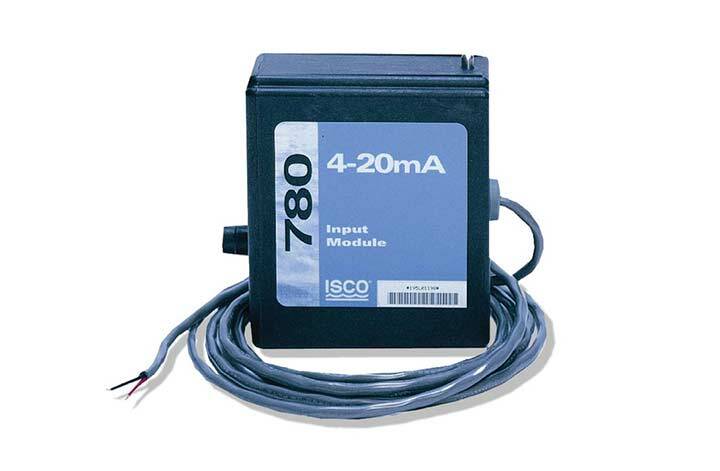 For example, if you have flow meters that output a 4-20 mA signal, the ISCO 780 Module can use the flow signal to pace your 6712 or 6700 sampler. The signal is also converted to digital so that data can be stored for future retrieval and analysis using Flowlink Software and displayed in real time. If the signal is not flow proportional , real time information is displayed in a simple, easy-to understand percentage of full scale. Sampling routines or individual samples can be initiated using this signal. 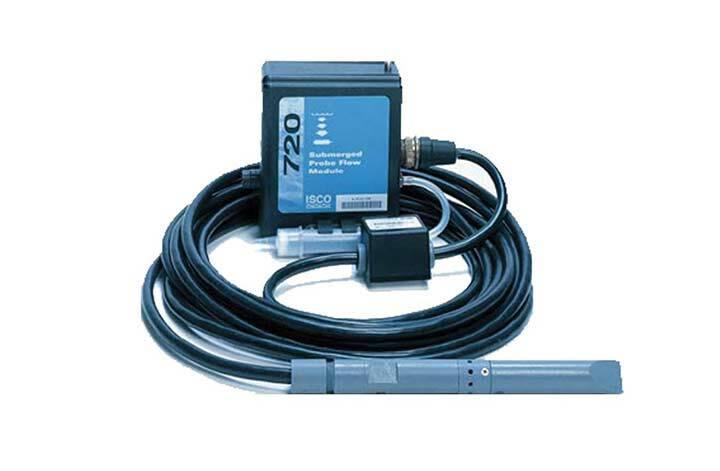 The ISCO 780 is supplied with a cable with attached twin leads which can be connected to your analog signal and used to program the sampler. Sampler pacing in actual flow units instead of an arbitrary number of flow pulses. 6700 sampler with 780 module can interpret any 4-20 analog signal and use it to pace the sampler. Data stored digitally for retrieval later. 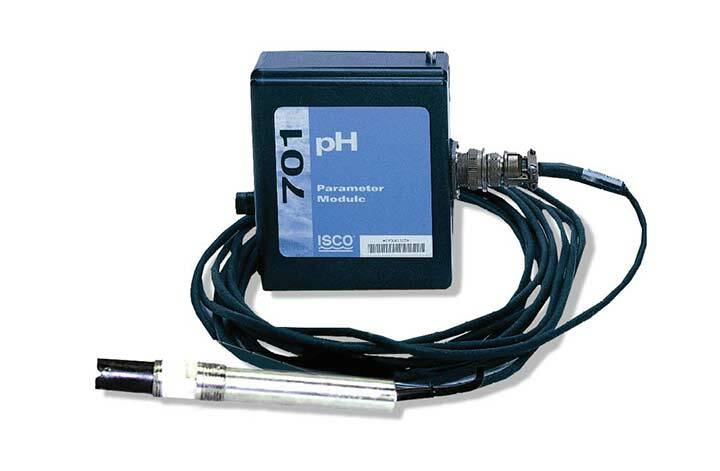 The 701 pH / Temperature module plugs into the 6712 sampler to provide pH and temperature monitoring and logging. The 701 module can be used to trigger ISCO auto-samplers to collect samples only when a specific, user-set parameter limit has been exceeded. 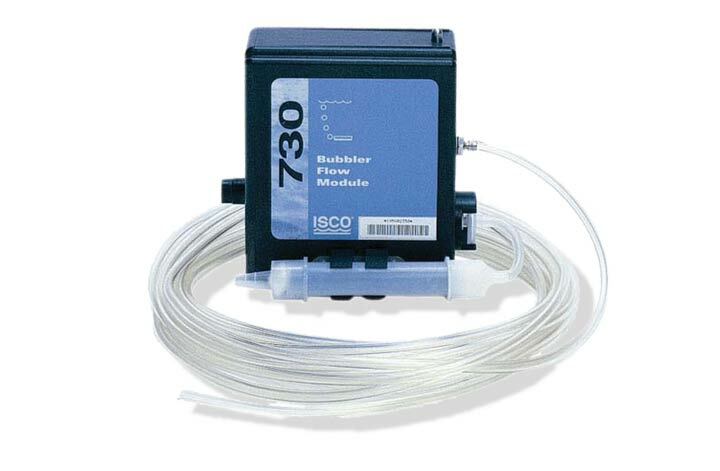 The ISCO 710 Doppler Flowmeter Module for open channel flow measurement plugs into a 6712 Sampler, creating a combination sampler and flow meter. The sensor mounts above the flow stream and a sound pulse is transmitted and reflected back from the surface of the liquid. 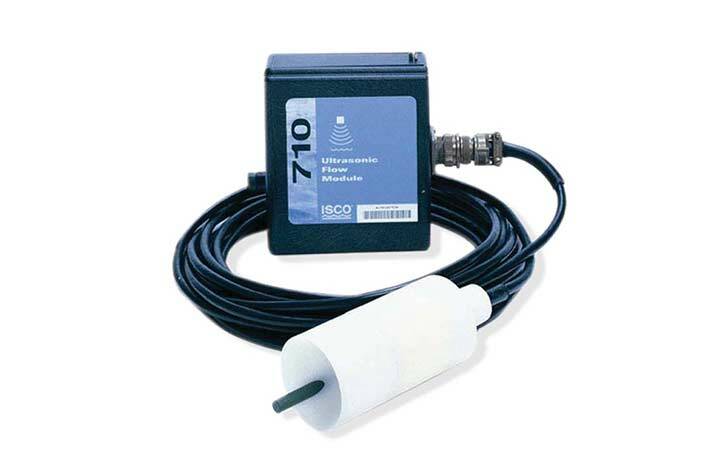 The 720 flow module's probe is mounted at the bottom of a channel, and measures the level of a flow stream using a differential pressure transducer. Built-in conversions in the 6712 sampler then convert the level measurement into flow rate. 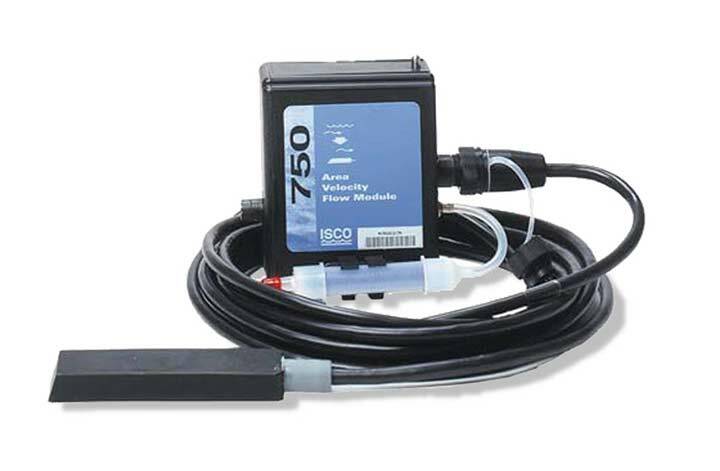 The ISCO 730 Bubbler Flow Monitor forces a metered amount of air through a bubble line submerged in the flow channel using a built-in air compressor. Water level is determined by measuring the pressure needed to force air bubbles from the line, which is then converted into flow rate. The 750 module's sensor uses patented doppler technology to measure average velocity directly in the flow stream. In applications where weirs or flumes are not practical, or where full pipe, surcharged and reverse flow conditions may occur, the 750 module gives greater accuracy. © RS Hydro 2019. All rights reserved. E&OE excepted. Please call us on +44(0) 1527 882060 if your requirement is urgent or continue with the quote cart.